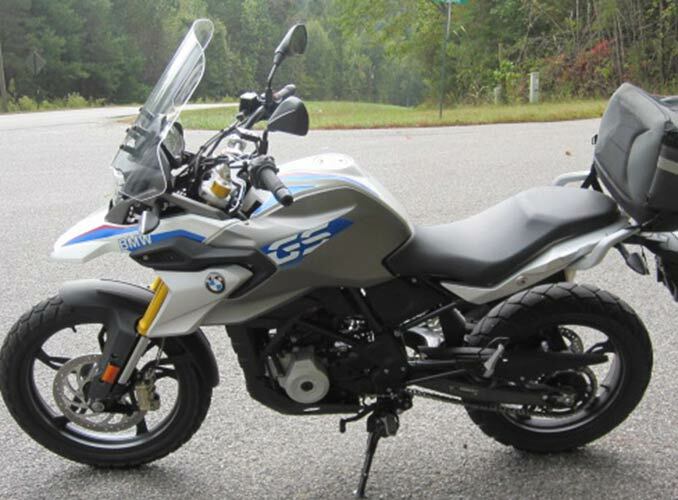 The BMW G310GS is a fun and amazingly capable motorcycle caught somewhere between a bare bones dualsport and a large adventure bike. A variety of terrain is what the bike was designed for and Parabellum kept this in mind while designing the Sport-Touring shield. The ST Shield is mounted more upright than the stock shield, similar to the iconic look of Dakar Rally race bikes. This upright angle allows more protection from wind, weather, and all other types of debris. 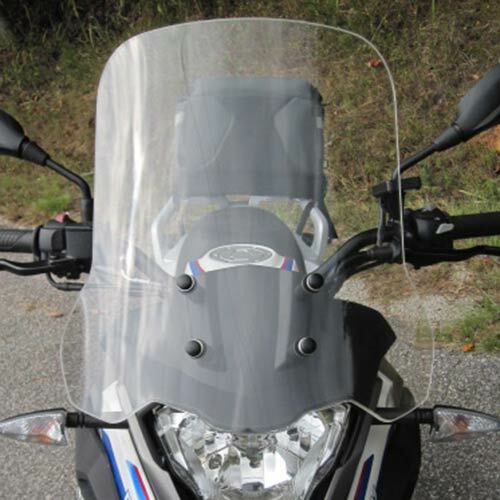 This upright angle also allows for a smaller less invasive windshield while providing much more protection than the tiny stock unit. The ST shield is recommended for those customers who plan on doing a large portion of road riding on their 310. The Sport-Touring shield is made from 3/16 inch military grade cast acrylic and is 13 inches wide at the top, 17 inches wide at the widest point. The windshield comes complete with mounting hardware that attaches to the stock mounting points. WARNING: With 2 inch Rox Risers installed, only about 1/3 of the range of riser rotation is available before the bars contact the windshield at near full steering lock. This windshield is not recommended for tall riders who need the arm room of risers rotated forward.